Replaces any standard switch with ease. Side wire terminal screws #12 – #14 AWG solid wire; push wire terminals accept #14 AWG solid cooper wire only. Narrow back body leaves more room for wires in the electrical box. Coordinate your USB charger with a radiant screwless wall plate. Product packaged in quantities of 100. Self-calibration feature allows you to select lamp type, which then automatically sets the minimum voltage for that lamp, eliminating flicker and poor performance. Works with every 120V dimmable lamp and load on typical residential and light commercial wiring. Convenient operation—combines ON/OFF paddle switch with separate slider for dimming control. Wider slide controller for easier dimming operation. White LED glows when dimmer is OFF for easy location in the dark. Comes with three interchangeable face colors: Ivory, White, Light Almond; six additional face cover colors available but sold separately (see HKIT*). Automatically turns lights ON when someone enters a room and OFF when they exit. Features three settings: Automatic-ON, Manual-ON, and Selectable Auto/Manual ON for more flexible control. Low-profile styling with uniform color-matched lens and device. White LED glows when OFF for easy location in the dark. Works with most common residential lighting types; no neutral required. Supported load types: Incandescent, LED, fluorescent, compact fluorescent (CFL), magnetic low-voltage (MLV) and electronic low-voltage (ELV), 1/6 hp. Offers automated control of lights, fans, and motor loads, reducing energy waste and lowering costs. Four preset countdown times of 60, 40, 20, 10 minutes. Visual LED indicator light will move to next lowest indicator as the timer counts down. Five adjustable light levels, including Ultra Low, Low, Medium, High and OFF. Rated 5 out of 5 by lisha123 from Looks great 15A single pole switch in the color Nickel works great and replacing my current light switch with this one is easy to do. I like that it makes my living room look more modern and sleek. That the buttons to turn on and off the light is very easy to use. It's perfect for my house. 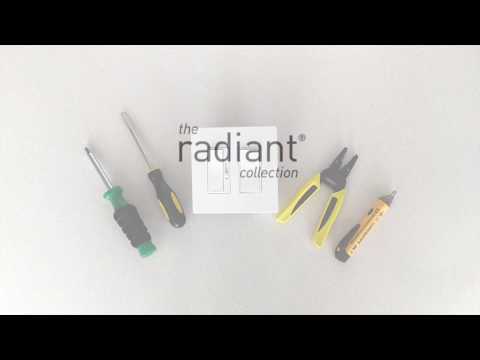 Rated 5 out of 5 by Hazzcomm555 from Great devices Love the Radiant Collection & Screw-less trim plates. 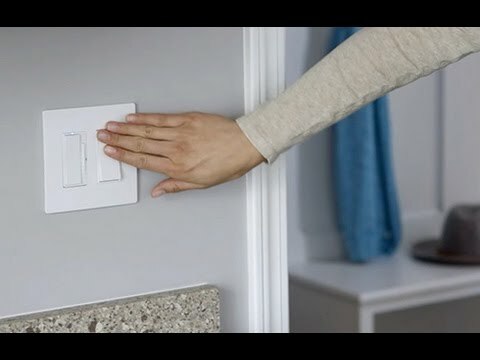 Rated 5 out of 5 by Stefvict04 from Super cute and a great accent in my kitchen The switch is easy to install and makes a great accent to any wall or decor. I prefer the single pole switch over a standard switch. I would recommend this brand of switch to anyone I know. I have the switch set up in my kitchen and it looks great. Rated 3 out of 5 by Jason t from Good switch but.... Bought enough for most of my house before they started having the name molded into it. Unfortunately now I have to by a inferior brand just to match the rest of my house. Also, where the name is molded give a place for dirt to accumulate. Rated 4 out of 5 by Andy55 from So so easy This switch plate was so so so easy to install. We needed a new switch for a bedroom light. The directions were extremely easy to use. In fact, it took my husband longer to take off the old broken switch than to replace this new one. In addition, I really think it looks very nice in the bedroom.